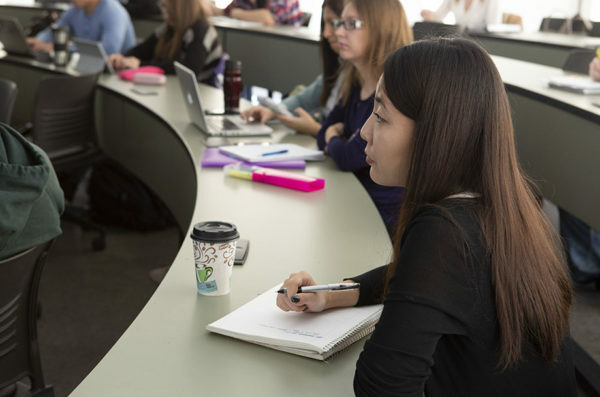 The UIC Sociology program offers undergraduates a top quality education—indeed, UIC Sociology is ranked among the top 40 sociology departments in the country. As a public institution located in one of the country’s most exciting cities, we are proud to be a department where faculty and students can apply their sociological lens to “real world” issues. At UIC you will have access to a faculty who focus on the social realities of our local urban landscapes as well as the larger forces of globalization. Faculty research specialties include the study of gender and sexuality, race/ethnicity, organizations and the economy, global/transnational sociology, political sociology and social movements, and children and youth. As part of your broader education at the University of Illinois at Chicago, we believe that an undergraduate degree in Sociology will prepare you for work in a wide range of fields through your development of important skills, such as the ability to apply sociological theories to understand social phenomena, understanding and application of research methods to understand the social world, and knowledge and use of statistical techniques and software. What are the requirements for a major/minor? How does sociology prepare me for my future? Our new senior capstone experience provides real-world research opportunities through community partnerships in Chicago! Where can I meet other sociology students? The Sociology Club is a great place to find a study partner, network for jobs, and have fun!